CHARLESTON, W.Va. – West Virginia’s public two-year and four-year colleges and universities, including West Virginia Northern Community College, are pledging increased support for student veterans during events to be held through the state’s “5 Star Challenge” initiative, which launched earlier this fall. 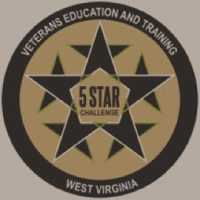 The Challenge, which calls on institutions to adopt a set of exemplary standards for supporting student veterans, is a tribute to the military tradition of issuing “challenge coins” to service members who embody the values and standards of their military units. According to 2015 spring enrollment data, more than 2,700 students are enrolled using Veterans Affairs benefits within West Virginia’s two-year and four-year public higher education systems.